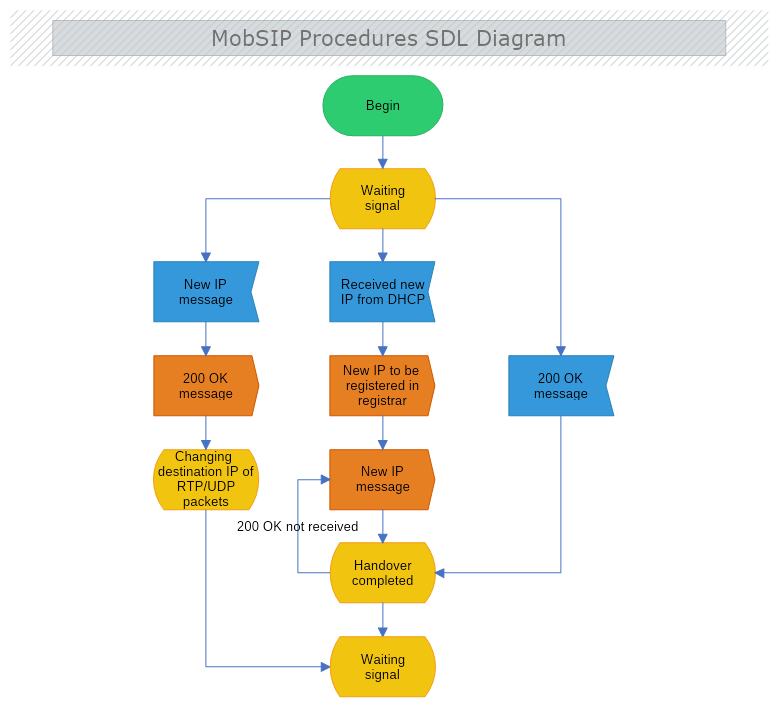 This is a SDL diagram of a MobSIP procedure. This diagram represents the implementation of the Mobile Session Initiation Protocol (MobSIP) procedure used for supporting real-time multimedia communication with mobility requirements of Internet backbones. Download this free template and modify it with MyDraw so it meets your needs and requirements.